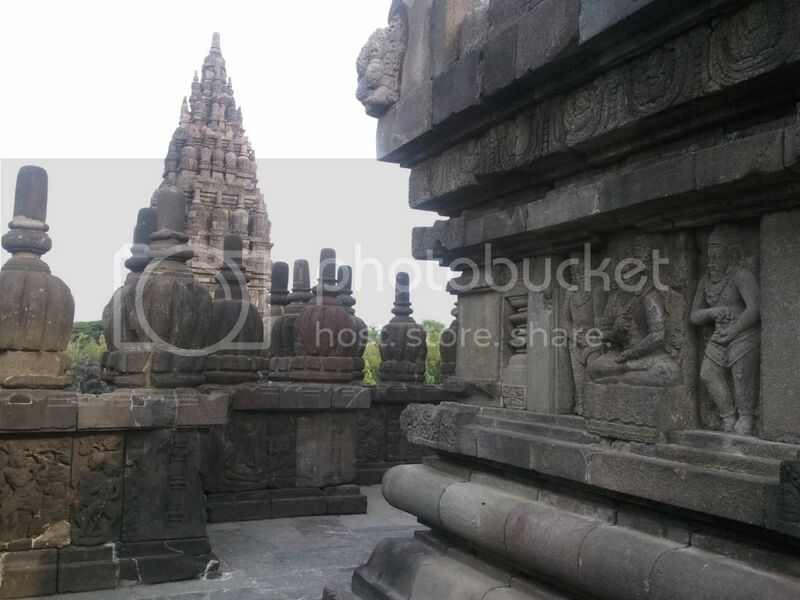 If you came on a tour bus, you would probably be brought straight from Borobudur to Prambanan. If not, you would have to go all the way back to Yogyakarta to catch a bus going there, which is the most logical route since Jogja seems to be sandwiched by the two anyway. 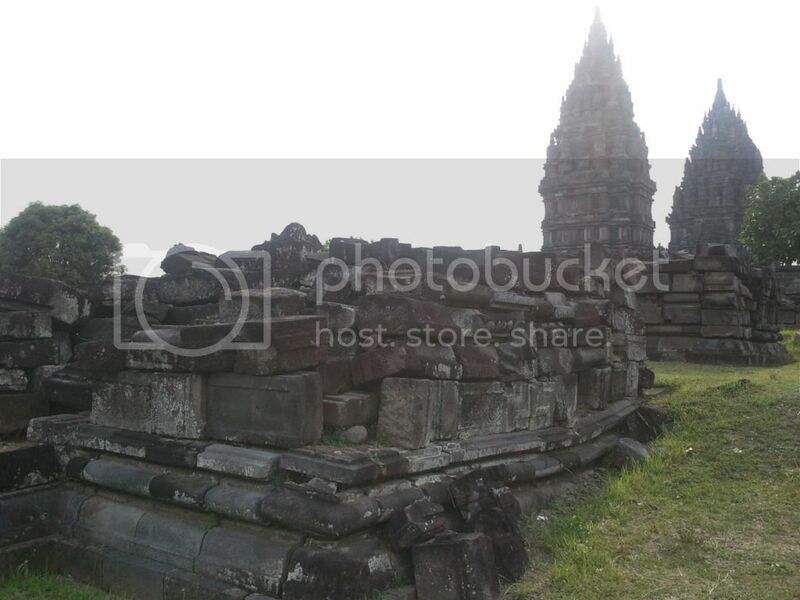 Maybe that is why Yogyakarta is synonymous to those two heritage sites, even if they are not really under Yogyakarta, if we be too technical about it. 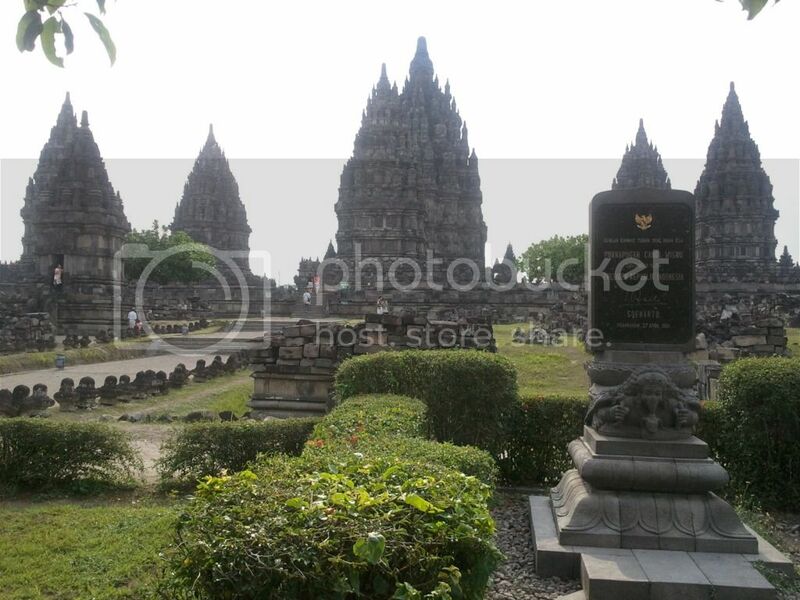 Moving on, Prambanan has a direct bus connection from Yogyakarta through Transjogja. Rejoice! This means no longer having to go to some far-flung bus terminal. Head to Maliboro road. 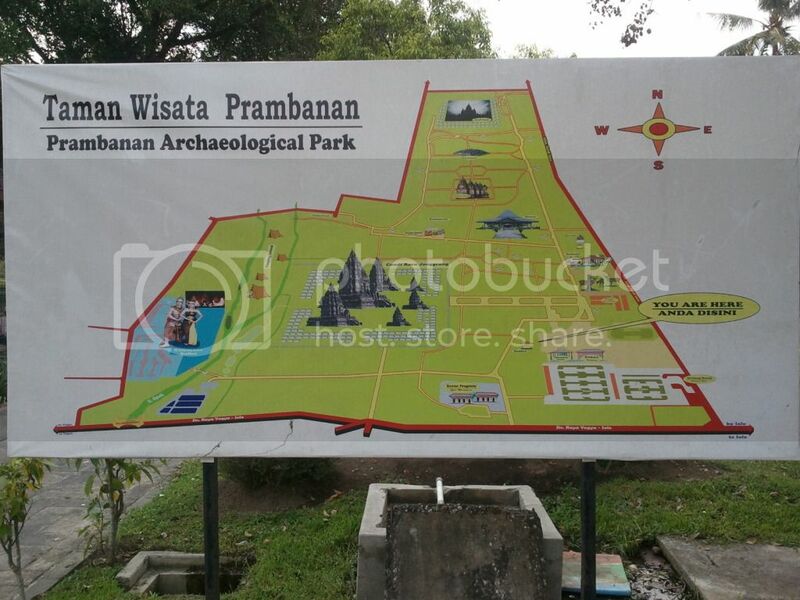 The Transjogja stop in front of the tourism office is one of the stations of the 1A route going to Prambanan. Yes, I think it was 1A, I could remember it well, but just ask again when you are there, to be sure. 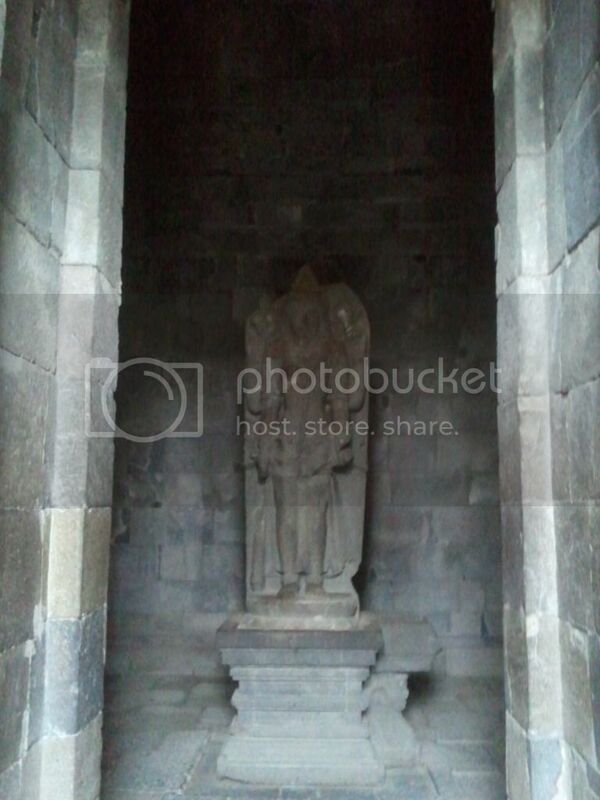 Only one of those Transjogja buses go all the way to Prambanan, after a short side-trip to the airport. 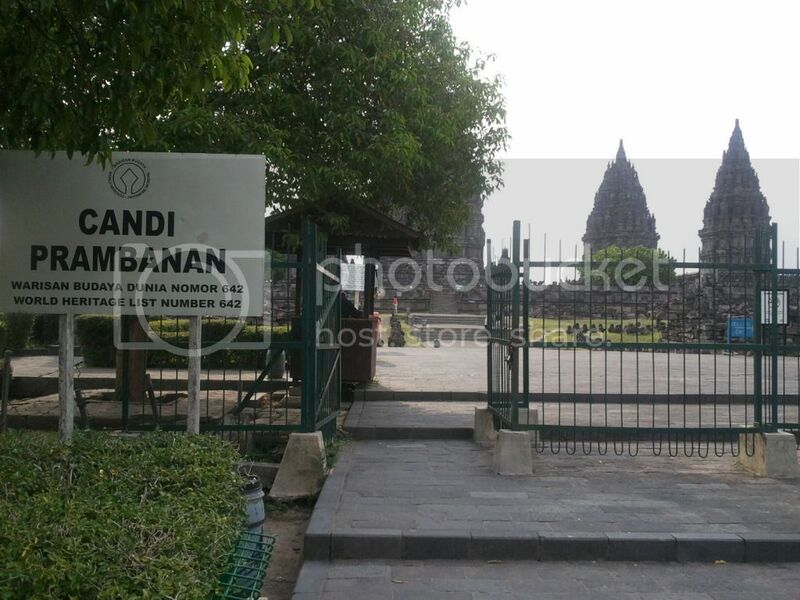 Prambanan terminal is on the other side of the road from the temple grounds. Cross the street and play ‘patintero’ with all those vehicles. Unfortunately, there is no overpass. Where are they when you really need them? The entrance is a bit far and you have to walk all the way down the road until you reach a mosque before you cross. That is your clue. Cross the road there, closer to the traffic light, less chances of fatal hits from a bus or a motorcycle. 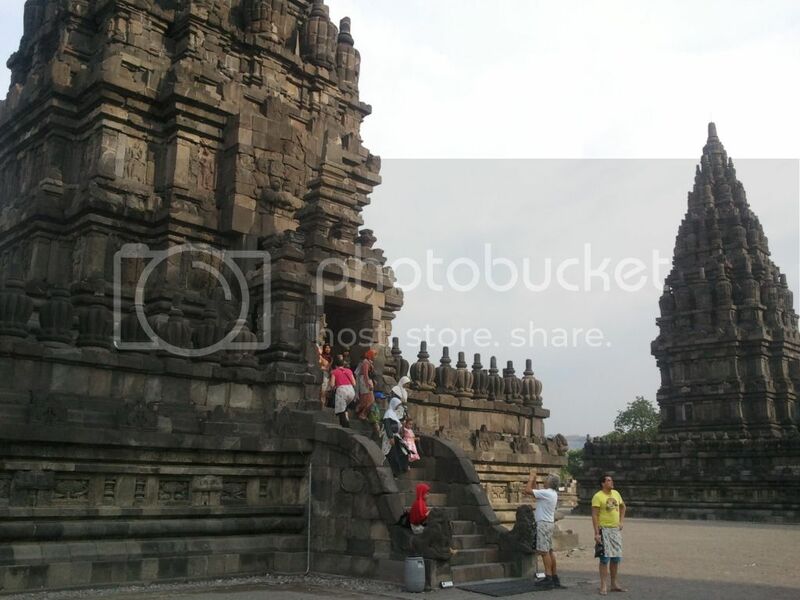 Same story with Borobudur but this time, I went past the local ticket counter. Surprise, surprise, no counter for foreigners! All I saw were souvenir stores and eateries. Hmmm. 30,000 rupiah. Terima kasih! When I got past the turnstiles, there it was, the international ticket counter, air-conditioned and all. If you are not coming on a tour bus, chances are you will cross the street and enter the compound through the parking lot to the east. The ticket counter for foreigners is at the center, near where all the tour buses are parked. You would not really have any business going that far to reach the entrance if you are not coming in with a vehicle of your own. Discount. 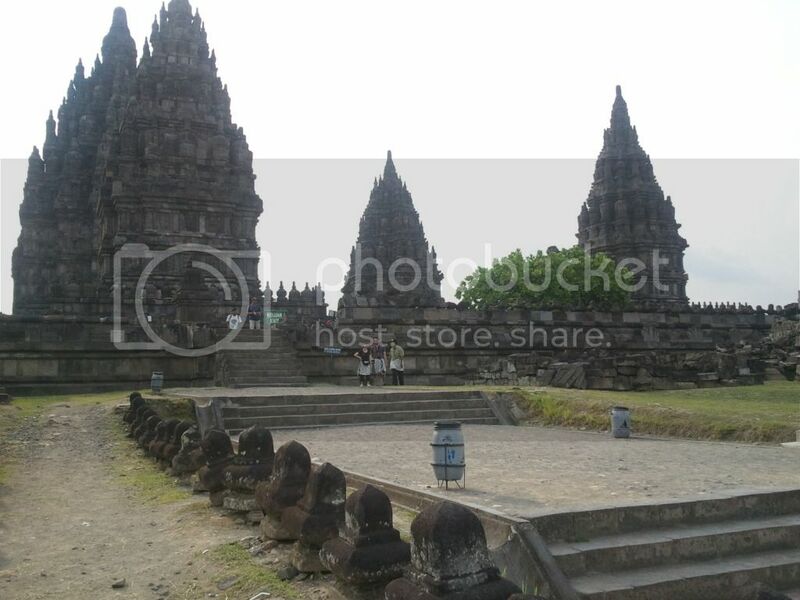 My budget for Central Java has so far been the cheapest at less than 600 pesos, even less than some day tours I have done in Laguna and Batangas. 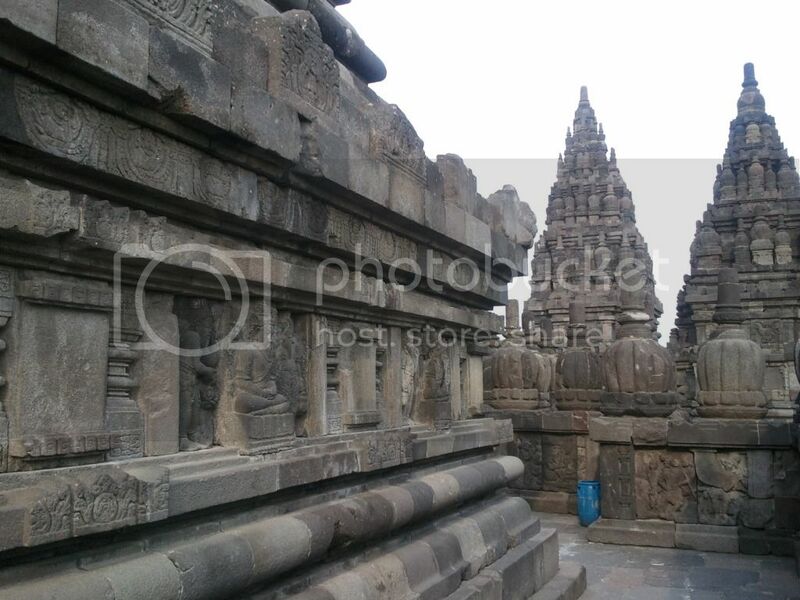 The area where the temples are located is just about the same size as that in Borobudur. 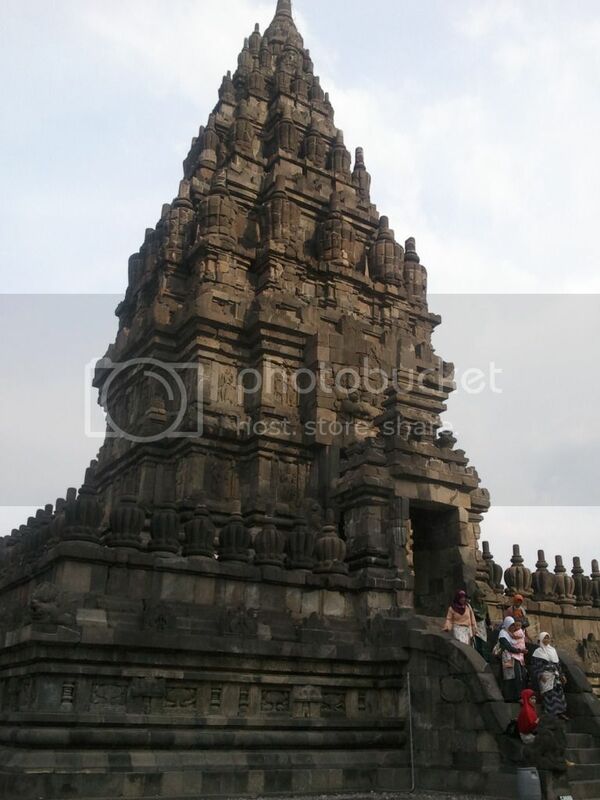 The difference is that at Borobudur, only has one big square base, and everything else goes up from there. 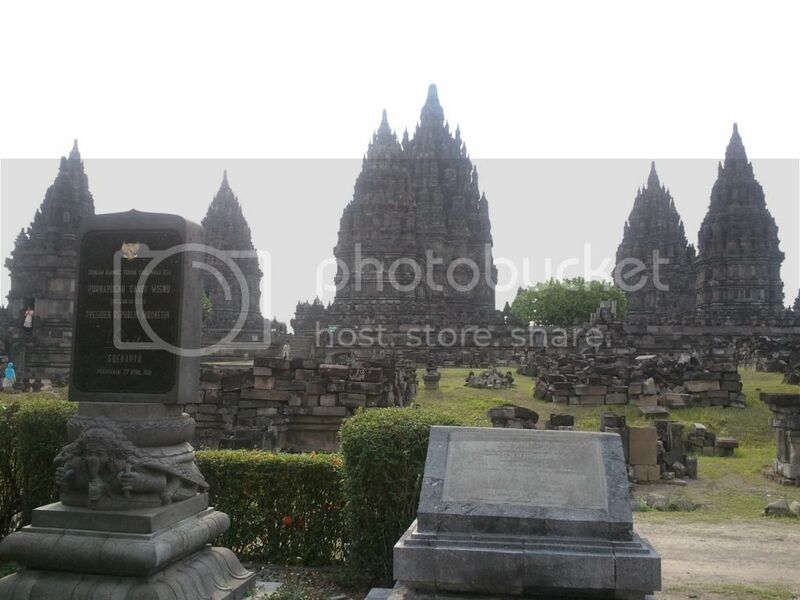 At Prambanan, you have several temples reaching for the heavens but not standing on the same base like Wat Arun’s in Bangkok. 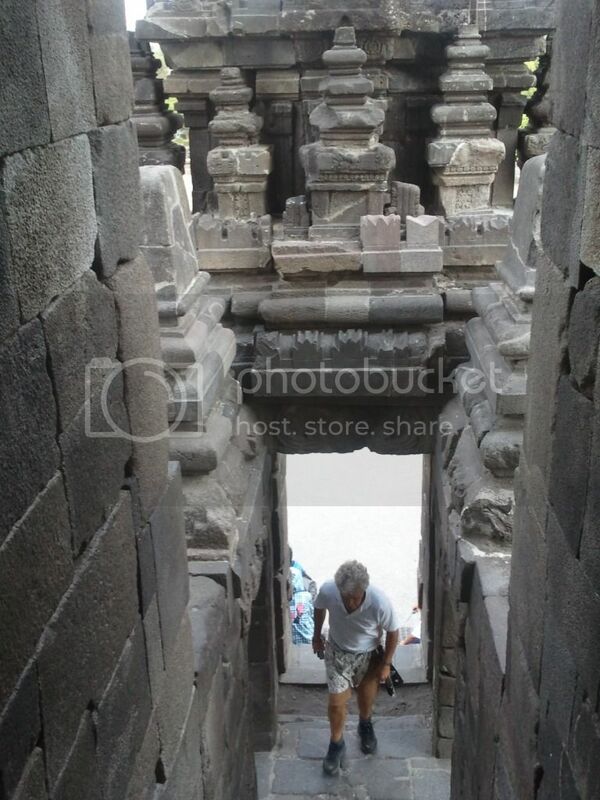 Here, you have dust and sand to walk on before reaching each temple, each of which is dedicated to a particular avatar. I suggest wearing sunglasses, not to be fashion forward but to protect your eyes from all the dust particles flying around. 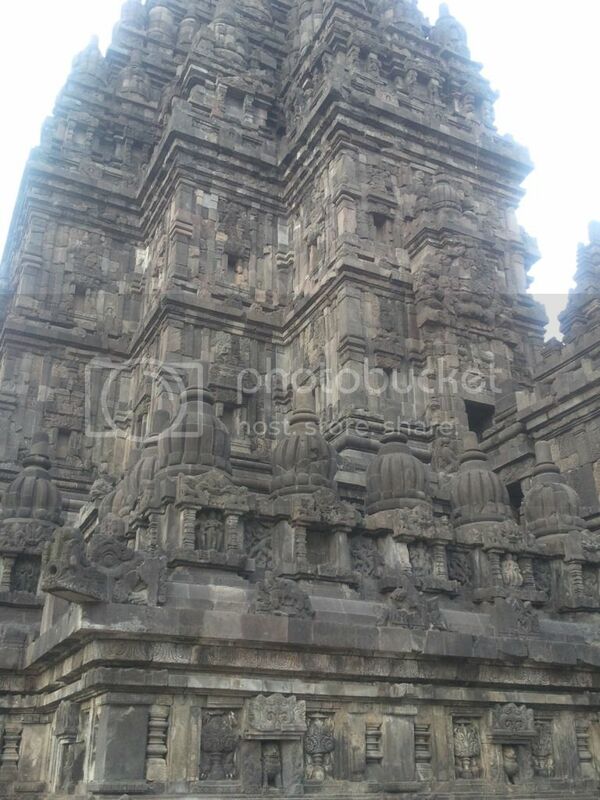 The main attraction would be Shiva’s temple, the tallest among the bunch and at the middle of everything. 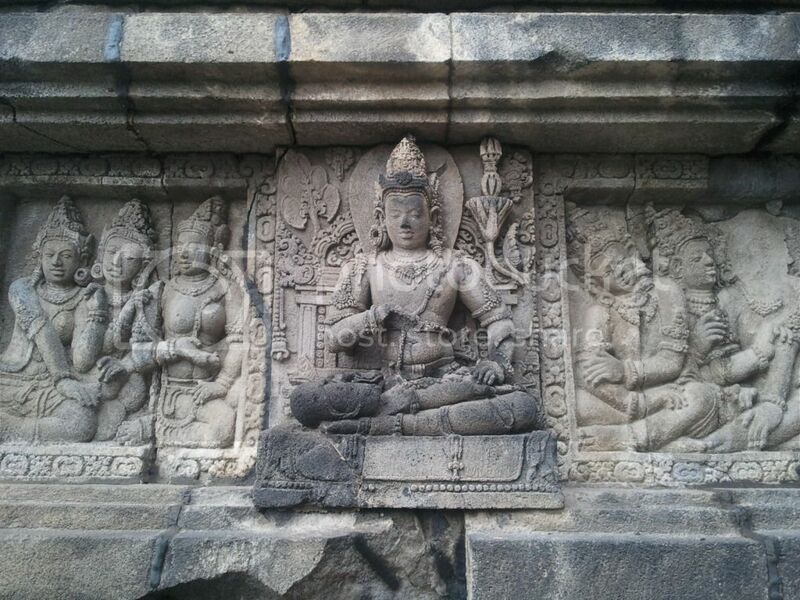 If Borobudur experienced the wrath of Mount Merapi a few years ago, Prambanan had its fair share of natural disaster when an earthquake ravaged the area also a few years back. Because of this, the sight of ruins that look like cement blocks piled up is not that uncommon. The main temples, however, are intact. All six of them. 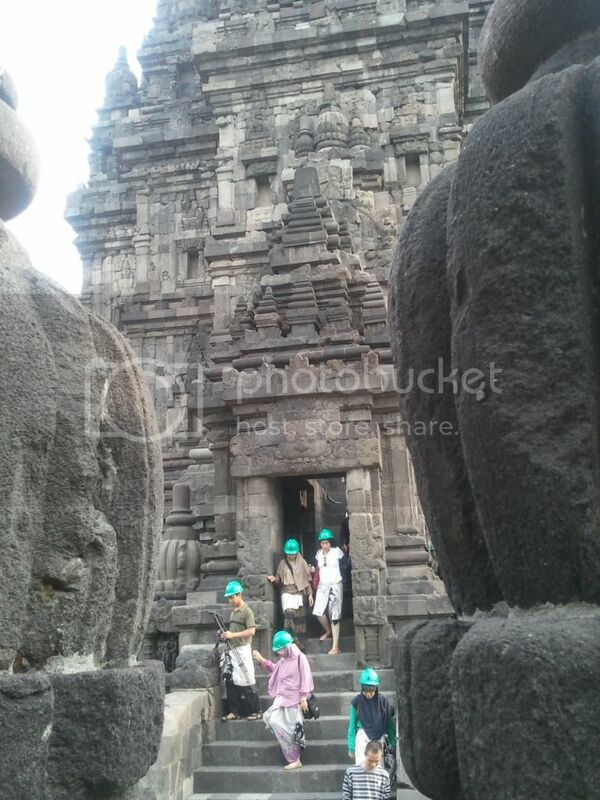 Well, you have to wear a hard hat when climbing Shiva’s temple, and not more than 15 individuals could be on the structure at the same time, but still the temple has been green lit as once again ready to accept visitors. The temples reach for the sky, which makes them a marvel to look at. 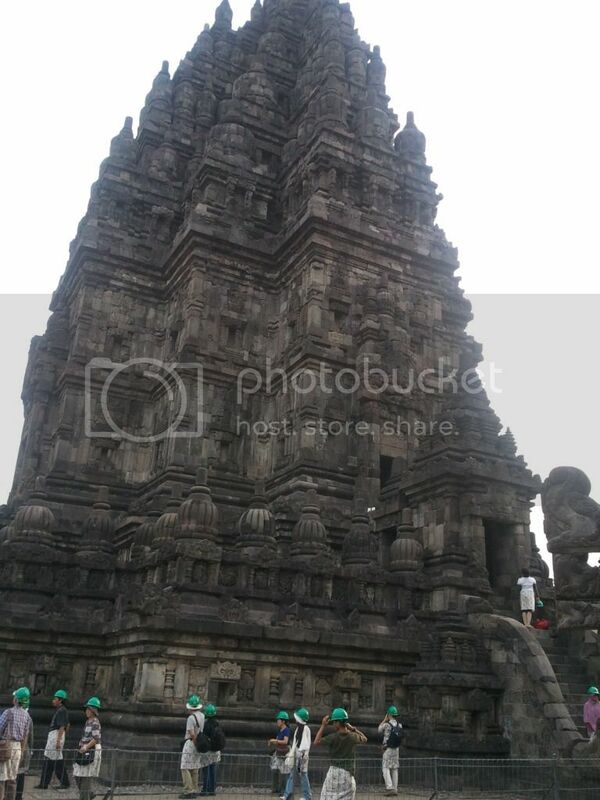 As opposed to Borobudur’s rather, uhm, flat topography, Prambanan prioritizes height over width. 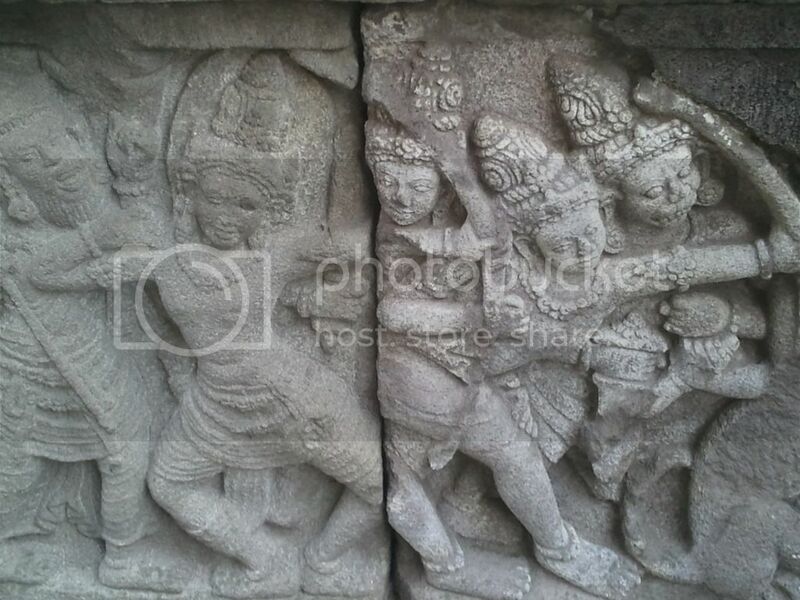 Aside from that, the carvings you see are craftily done, with every detail done intricately. 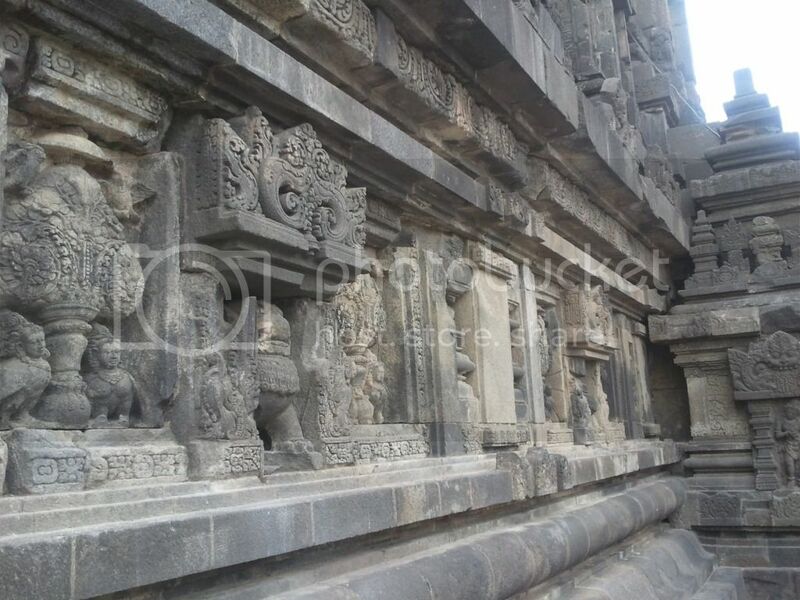 While there seems to be a template for the inner walls (that of the main avatar with two others at the side), the outer walls are actually depictions of Hindu mythology, mostly from the Ramayana. Seeing them even without any inkling as to what they are is already something worth the trip. Knowing the story behind all those would probably be more awesome, what more if you are part of that civilization! I could only imagine how impressive those structures were during the time they were built, when the surrounding evidence of modernity was but an alien concept. Those temples are huge, and in the middle of the night, when they were probably lit with some bonfire or whatever mechanism for illumination, how grand could it have all been? Of course they are still awesome now, though dwarfed by modern buildings out there in the city. 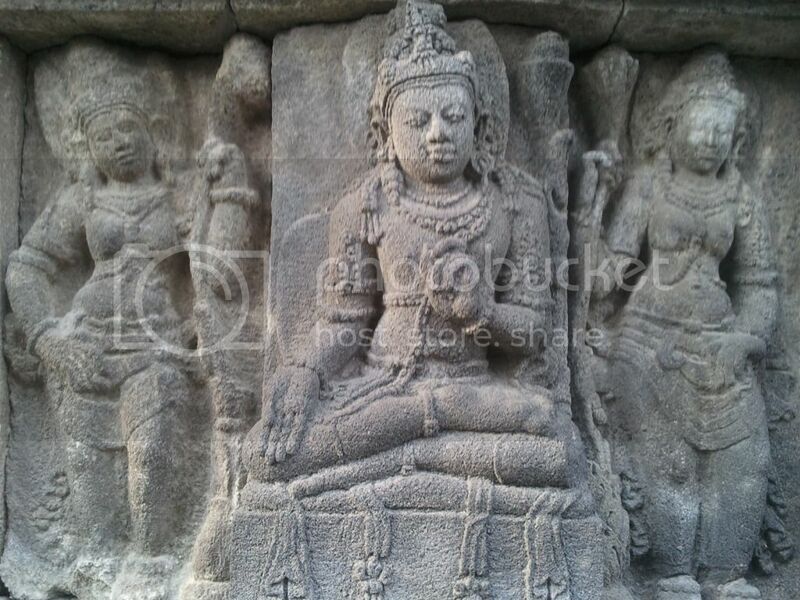 It makes you want to go back in time as an observer and discover the pivotal role those temples played in the daily lives of those who were part of that civilization. The area is kind of small and you could see everything from the entrance. 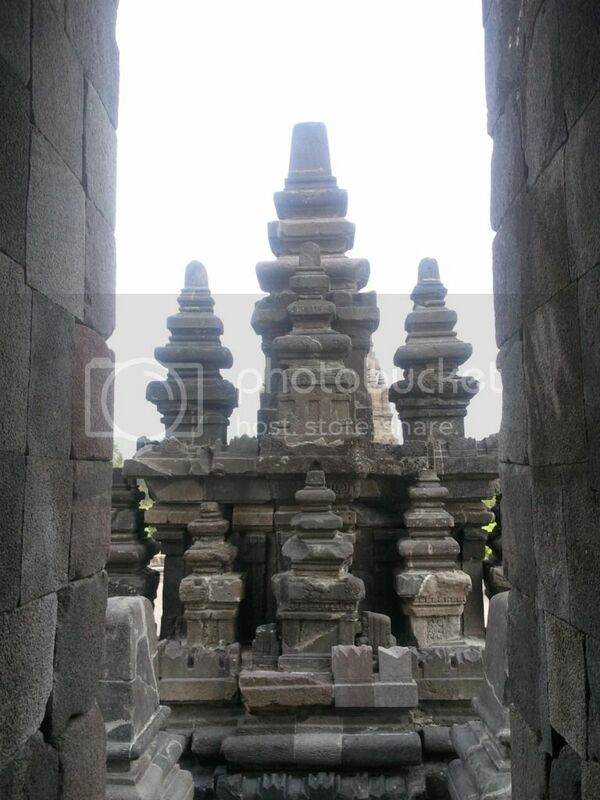 The real adventure begins when you explore each temple and see what they hide inside the main chambers. 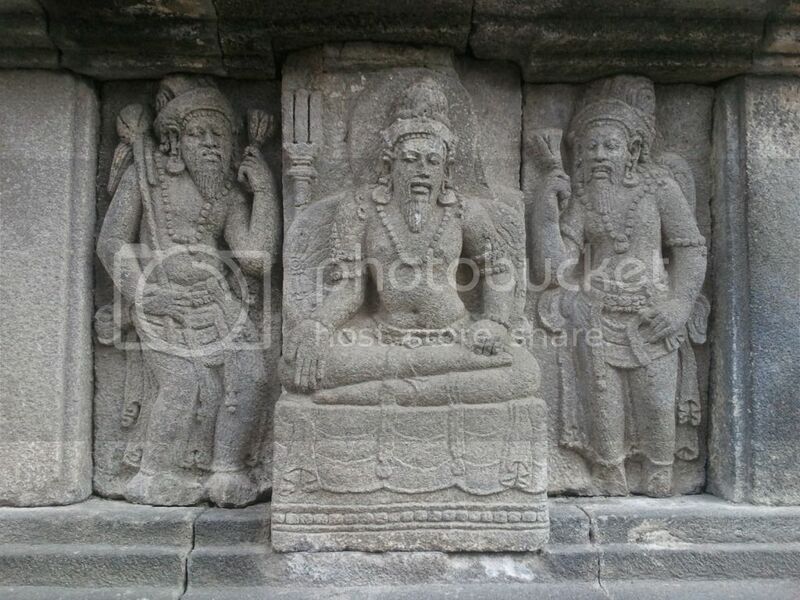 Some of them are empty while others have a statue of the deity to whom the temple is dedicated. Although the chambers are generally small and would not involve anything such as going through a maze of tunnels, that feeling of getting some sort of creepy ancient curse a la Egypt’s mummies leaves plenty of room for thrills. Just back away slowly if you get too scared. Watch your step though, as the climb is quite steep. 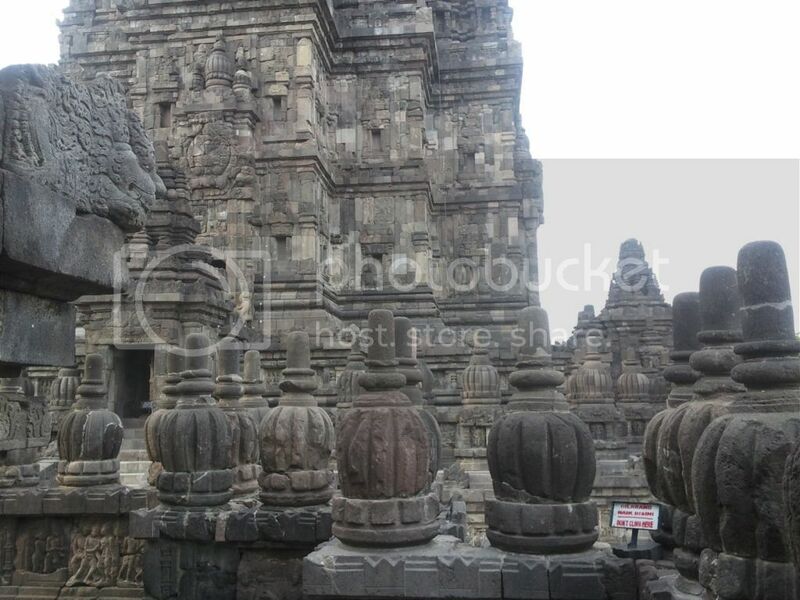 Once you have explored two or three of the temples, the rest would start to look the same. This is a common observation in Hindu temples I have been to. Unless you are familiar with the mythology depicted on their walls, your appreciation for them wanes as the sun goes down, but the grandeur and that spectacular feeling of having been somewhere that is part of ancient history would not go away that fast. Furthermore, what you would probably remember the most are the good stuff over the boring ones. There are other mini temples around the area. Some sort of play train is available for those who despise walking, for which they charge 5,000 rupiah. If that is per way, round trip, or per day, I really have no idea. But why ride? Just walk and enjoy that big garden. They also have a museum and some sort of hall for presentations if you are interested in history and fun facts. If you have to rush back to Jogja to catch train to Jakarta or somewhere else, then better get back to Prambanan terminal across the street as soon as you can. I have no idea what time the last trip is, but those buses are unpredictable and not so regular. What happened to me was that a bus arrived only to leave us behind because it had some technical problems. The wait time was half an hour and the traffic was pretty bad going back. For those who are headed nowhere for the night, you might want to try the Ramayana Ballet, which is within the same complex. The admission is probably as costly as the ticket for the temple itself, but this would be a good way to gain some background information and enjoy the artsy dance all at the same time. It starts at 8 PM, if I am not mistaken. 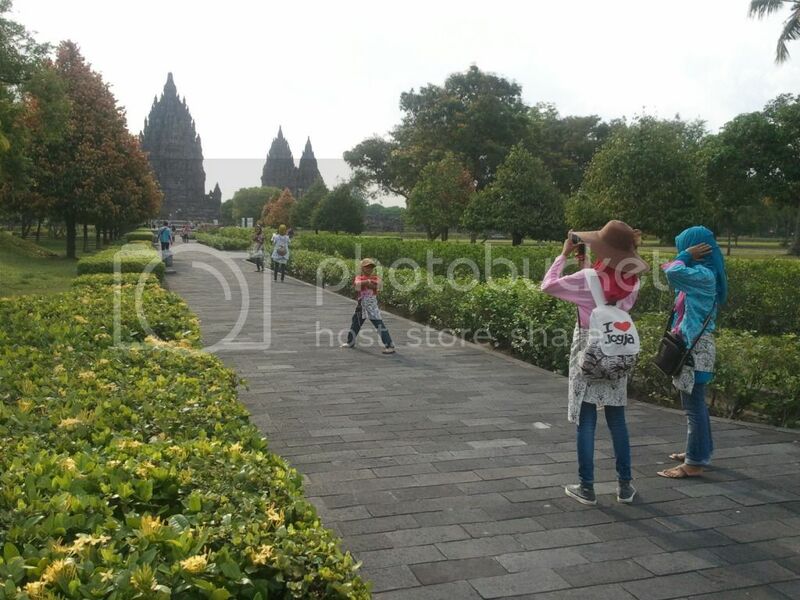 If you want to engage in some spiritual activities such as meditation or some yoga, or just reflect on your life with these temples as the backdrop, then I suggest you allot a day each for Borobudur and Prambanan. 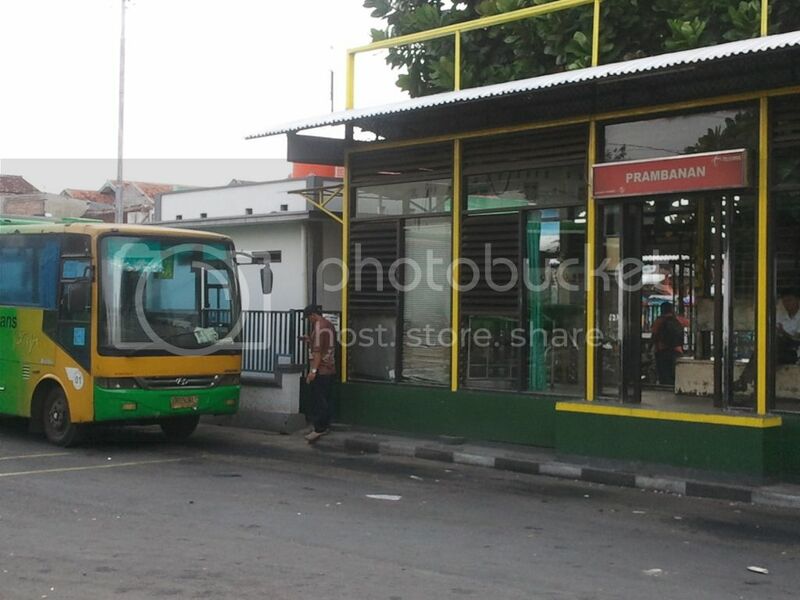 Otherwise, a full day would suffice, with enough time for lunch break somewhere at Malioboro since you would be getting your connecting trip by bus from there. Was it all worth it? Of course. 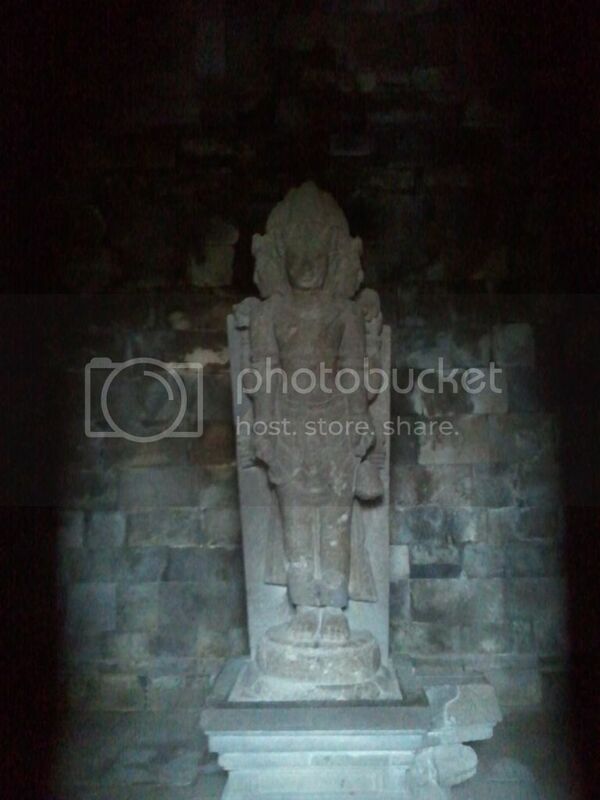 I came to Indonesia for Borobudur. I have always wanted to explore some ruins and this, I think, is my first. Do Bangkok’s temples count? 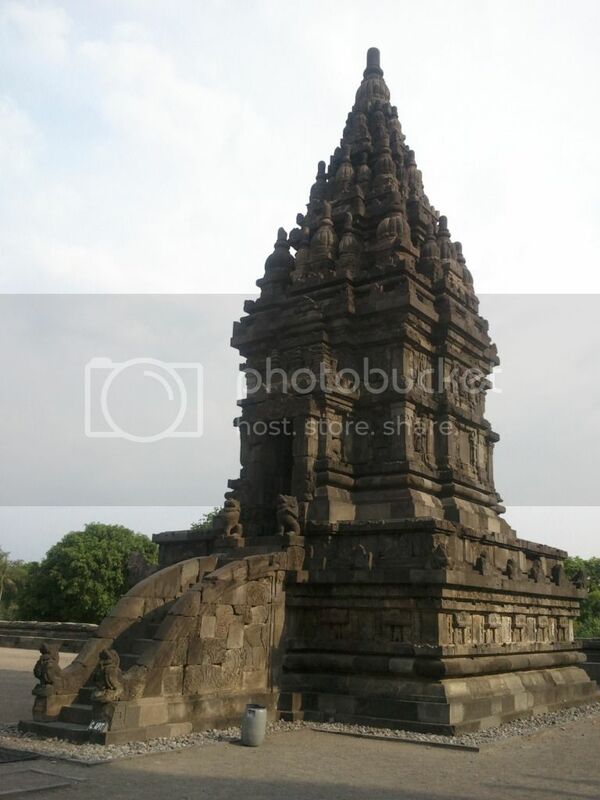 Anyway, after seeing Borobudur and Prambanan I suddenly felt like my journey has been completed. Mission accomplished. Whatever happens next in Indonesia, I could not care less. I have done what I came here for and yes, it was all worth it.